One weekend they spent Friday night lounging around his apartment, he in jeans and she in sweatpants, watching two movies they’d rented (Cocteau’s Orpheus, which was one of his favourites, and The Terminator, one of hers), and then they spent Saturday night at a party in the city for a friend of his who’d just put out a book of photographs, a party for which Isaac wore a suit and Nora wore a tight dress. observation The pictures above are the cover of this book, and an advertising poster for the Woody Allen film Manhattan. It is quite a common New York image, but it is also true that this book does have similarities with a Woody Allen film (without the worrying associations his name now has) – over-precious New York couple think about their relationship, their art, and their priorities in life. I think this is a book about reliability – how much can you and should you expect to rely on your partner? Is it unreasonable to expect more than you give, as Nora in the book certainly does? The book is set around 2002: when Nora’s car breaks down, she ‘realized she was at a bridge moment in history… Two years ago it had seemed pretentious to have a cell phone; in two years it would seem pretentious not to.’ This is the kind of perception Morton does really well. Part of Nora’s problem is that the stories she writes often seem to contain hurtful pictures of people she knows well, ‘Everything I write turns into a poison-pen letter’ she says, as if she knew that this has been a recent theme on Clothes in Books. 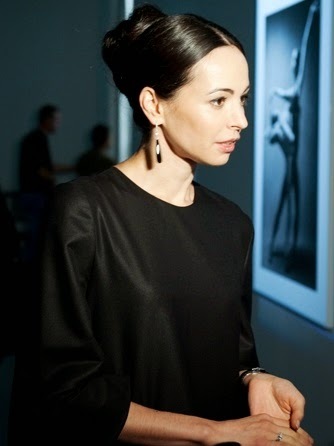 The main picture is the Russian ballet dancer Diana Vishneva at a book/photography launch party: it was taken by Nynaevealmeera and is available on Wikimedia Commons. Moira - I do like that line about cell phones! Interesting take on the way different people perceive themselves, each other, and life. It sounds as though it's got a strong sense of place and atmosphere too, and New York is one of those very distinctive places. Moira, Brian Morton was unknown to me until now, as many authors are. You're right, this does sound Woody Allenesque though I don't know if that's good or bad because I have never cared much for his films. There's too much talk. 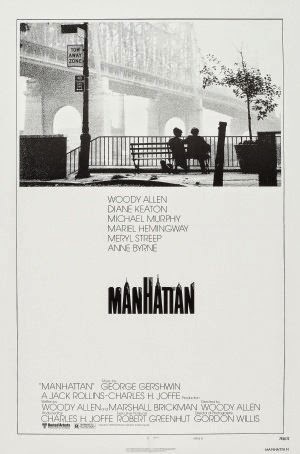 I liked MANHATTAN on account of Alan Alda and Diane Keaton. I find the plot of this novel interesting because of the relationship angle. An excellent movie about New York and an aging, lonely, alienated professor, which brings in immigration, love in middle age, and Homeland Security, is The Visitor. This is a superb movie, which leaves one in tears while yelling at the TV. It's another view of the human condition in today's world where human relations trump suspicion. Hmm, not feeling it. I looked up all his books as I've never heard of him and can't say they appeal to me. Does he write the same book over and over again? All 5 seemed to have common themes, or at least similar. Well - I guess that accusation could be levelled at him! 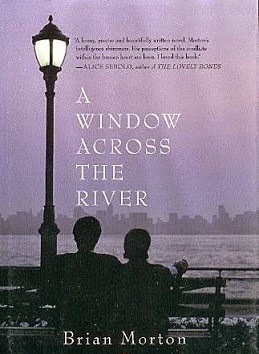 I think I would rather read novels about Los Angeles couples than New York couples. Although really I would rather stay away from both cities. I will put this author on my "maybe someday" list. I am glad to be exposed to his books but don't think they are for me at this time. It's what they make of the raw materials isn't it? As I imply above, Brian Merton has written several quite similar books, and all of them are good, and enjoyable, but one of the - Starting Out in the Evening - really transcends that, and is wonderful. I will keep that one in mind. I do have a hard time finding non-mystery fiction I enjoy.